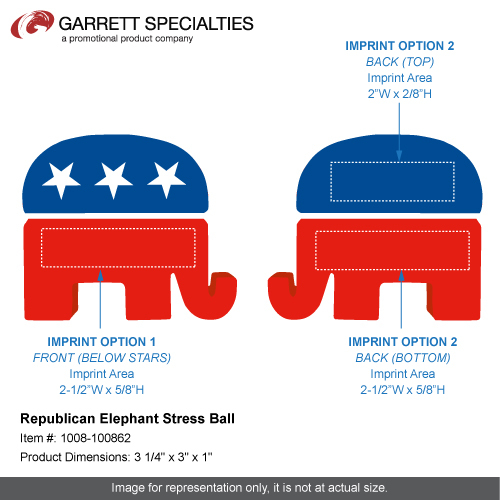 Republican Elephant Stress Ball get out and vote. Great giveaway for the Republicans for get out the message. 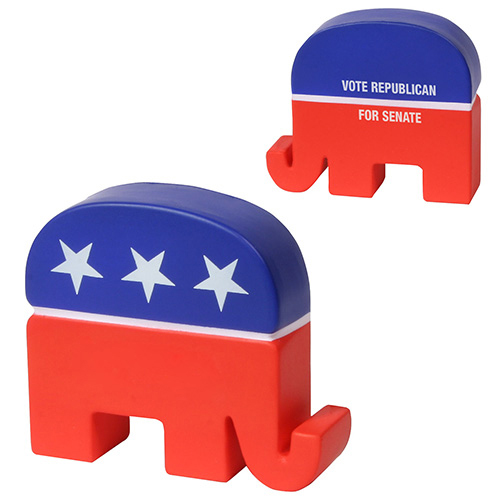 Republican Elephant Stress Ball is made of Squeezable polyurethane foam. 3 1/4" x 3" x 1"
Bulk / 22 lbs / 350 pcs. / 22x15x14box.